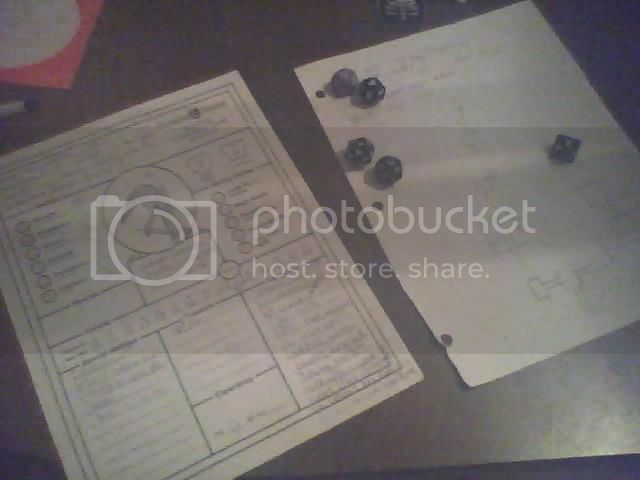 I recently started playing BECMI Dungeons & Dragons with my 11-year-old son. I'm trying to give him the whole “Redbox” experience—searching room after room by torch-light, mapping as you go, listening for skeletons and goblins. I want Bargle to piss him off as much as he did me. Perhaps more importantly, there are several life lessons I want the boy to learn through D&D. This is the obvious one, but it's still true. I'm no calculus whiz, but nothing taught me to add and subtract columns of number quickly and accurately like shopping for equipment for my D&D characters. That's not even touching on the math and geometry required for combat and miniatures movement. Sportsmanship is a difficult lesson to learn these days. We live in a poor section of town, so there's not much in the way of organized sports, nor does his school offer much. And let's face it, I'm a D&D nerd, I'm not big on sports anyway. But even when I was a kid, I had Sports Billy, Fat Albert, and other shows to teach me about good sportsmanship. No so much any more. I've heard the banter on Xbox live. I've been on Ventrillo on failed raids in WoW. Sportsmanship, grace, and humility are rare traits. So, I'm hoping to teach the boy those qualities through D&D. When you succeed, good job! You should be proud, but don't brag (unless, you know, you're roleplaying a braggart, but one thing at a time, okay?). Pride leads to hubris, which leads to failure. And when you DO fail, you get up and try again. Don't brood, don't sulk, don't get angry. It's a game. Your elf was eaten by an ochre jelly? Roll up a dwarf and try again. The fun in in the playing. This is the “Rust Monster Rule.” Nothing lasts forever. Sometimes you're going to loose things you love. You have to learn to let go of material things. Sure that +5 Vorpal Sword is nice, but one magical armadillo can destroy it forever in six rounds. You gotta just let it go. Sure, gold is nice, but when it comes right down to it, it's the experience and the things you learn that let you grow as a person. what book is that character sheet found in? I got it from dragonsfoot.org, the best site for old school D&D stuff.